Step 1 Stir together all ingredients in a medium saucepan. Cook over medium heat, stirring often and breaking fruit into smaller pieces, until juices have released and mixture is a jamlike consistency, about 10 minutes. Remove from heat and let cool completely, about 1 hour. Spoon mixture into jars or a bowl. Serve immediately, or cover and refrigerate for up to 2 weeks. 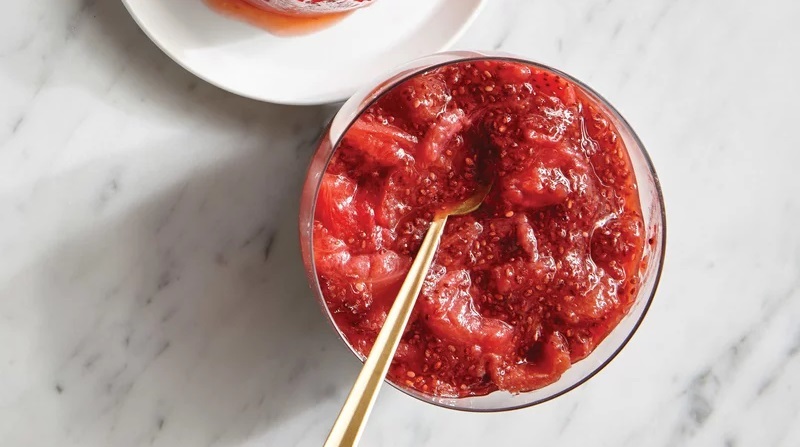 Chia seeds add protein and healthy fat—and thicken jam without tons of sugar.